A lot of early video game consoles secretly wanted to be home computers, too: Their makers either sold keyboard add-ons or failed miserably in the process. Video game platforms have long been famed for their long peripheral lists, with every addition intended on taking the system to a new level. But as any 32X owner can tell you, there’s often a limit to how great those additions can really be, especially if they aren’t cheap. Take the case of Mattel Electronics’ Intellivision, which stuck its neck out there in a big way in a battle against Atari only to hover precipitously close to false advertising claims in the process. The problem, to put it simply, was the keyboard. 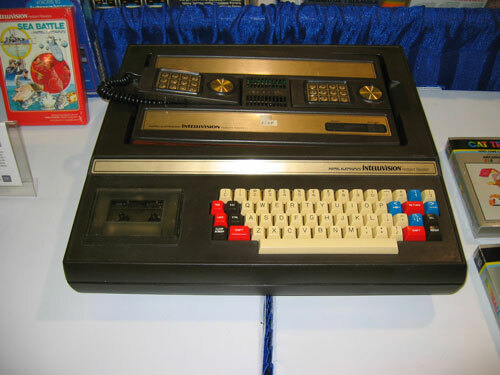 The Intellivision was designed specifically as a two-component deal—the game console, or the “Master Component,” was the one that was actually in stores, while the company promised that you would someday be able to do your taxes using the Intellivision. The approach did wonders for the company’s sales, but it also put Mattel in a position where they had a promise that they were now forced to keep. And fulfilling that promise proved much harder than it seemed. At least they had George Plimpton as a spokesman. Internally, the company had banked a lot on the Keyboard Component, code-named Blue Whale, which was supposed to do a whole lot of things, as it added an additional processor, a tape drive, and a printer port. It wasn’t just a keyboard, and unlike the Odyssey², it actually turned the console into a full computer. But, as the Intellivision Lives website notes, the developers had backed themselves in a corner. The idea of the computer was easy to market, but actually putting a reasonable price tag on the fairly complex machine was going to be impossible, especially considering it had to teach you French and give you a workout. The pyrrhic victory was easy to make jokes about. In late 1981, as it was clear Mattel Electronics would miss its promised deadline to release the device, comedian and noted Intellivision fan Jay Leno played MC at the company’s Christmas party, and he had clearly been aware of the hell the company had created for itself: “You know what the three big lies are, don't you? 'The check is in the mail,' 'I'll still respect you in the morning,' and 'the Keyboard will be out in the spring.'" The scope of the failure led consumers to complain, and the Federal Trade Commission got involved, citing possible fraud on the part of Mattel Electronics. The company had done some test-marketing of the device, but it wasn’t enough to appease the FTC, which started to levy massive fines against the company—some sources say it was $10,000 per day; others say it was $10,000 per month. The original keyboard component would never be released—it simply couldn’t live up to the hype Mattel’s marketing created for itself. Realizing this might be an issue, Mattel put together a team to create a second keyboard platform, called the Basic Discovery System, that would provide the promised basic functionality, without the attached boondoggle. As a Usenet-era text file on the Intellivision’s history explains, the project was launched in secret, without the knowledge of David Chandler, the Intellivision lead engineer, known as "Papa Intellivision,” who had masterminded the more expensive keyboard and could have squashed an alternative project due to the clout he had within the company. But the strategy ultimately did the trick: The original Keyboard Component was cancelled with maybe 4,000 units created (making it a rarity), and the Basic Discovery System, which was a pale imitation of the original idea, actually saw release. If there isn’t a name for the this in the annals of computer history, there really should be one. My suggestion: A “reverse Osborne Effect,” in which the pre-announcement of a piece of vaporware drives sales … but only ends up taking down your company in the end anyway. Coleco’s ColecoVision featured a somewhat similar expansion strategy to the Intellivision, in that you could upgrade the device to a full computer, which it called the ADAM. The keyboard was detachable, and the device included a printer (which was necessary, as that’s where the power supply was). Unfortunately, they released it in 1983, and the machine was beset by manufacturing issues left and right. Here’s a great clip discussing the device. The Sega Keyboard, an add-on for the Japanese SG-1000, was a keyboard that turned Sega’s pre-Master System computer into the equivalent of the SC-3000, which was Sega’s home computer of the time. In Japan, Nintendo’s Famicom stood for “Family Computer,” and it showed signs of that with its Family BASIC keyboard, which, as the title suggests, was really only designed to run a variation of the BASIC programming language. The NES never received this peripheral, though an early version of the console shown at the 1985 Consumer Electronics show included a keyboard. The Bally Astrocade, with its faux-wood trim, had a design that was unlike any other game console of its era, with a 24-button menu directly on the device, a built-in spot for cartridge storage, and its unusual trigger-style controllers. A keyboard add-on called ZGRASS, based on the GRASS programming language, greatly expanded the system’s capabilities. And, taking the complete opposite approach from everyone else, Sega allowed the European PC manufacturer Amstrad to create a combination Mega Drive/PC, which ranks up there with the Macintosh TV in terms of questionable mashups. The number of hours it took Piotr Delgado “The Mexican Runner” Kusielczuk to “beat” the NES-based Miracle Piano Teaching System as part of his quest to beat every single NES game. The teaching system, released by The Software Toolworks in 1990, was the only “keyboard” of sorts released for the NES or Super NES, and it supported MIDI. It had good marketing: In 1991, the company gave the keyboards to an entire sixth-grade class and had them learn how to play the piano in the span of a single month—a result documented in this commercial. In some ways, it seems like the early trend of video game consoles borrowing liberally from computing platforms was a product of its time. Video game consoles weren’t cheap during the early era. 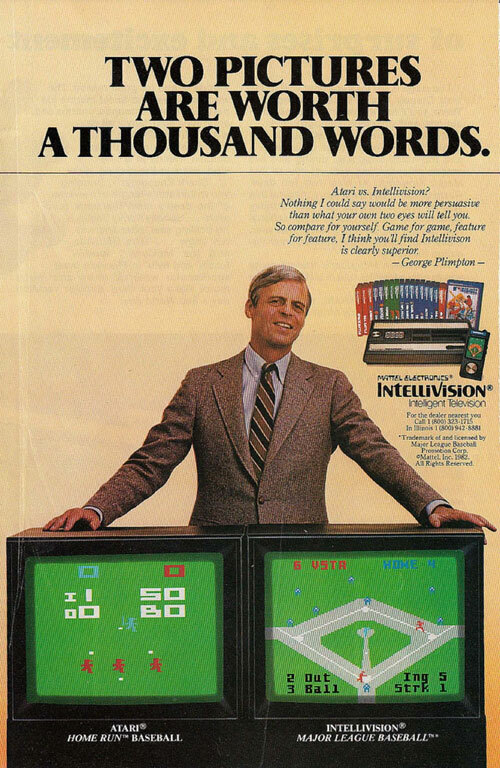 For example, the Intellivision had a launch price of $299 in the U.S. If you add in the rising tide of inflation, that’s around $885 in 2017 dollars, or about the price of buying a nice Windows machine. Doing the math here, it’s quite likely that a couple of factors were at play: One, game-makers wanted to win over skeptical parents, who held the power of the purse, by showing that these systems could do more than play games; and two, there probably was an assumption that households would choose either a video game console or a computer—and the computer, which could do more, put the game consoles at a disadvantage. The video game crash of 1983, which came as the Commodore 64 and Apple II were hitting new sales peaks, certainly makes the case for the latter. But another problem is that many of these companies were simply not built to make traditional computers. Coleco, for example? Its other major product line, besides video games, was Cabbage Patch Kids. It’s possible that the answer to why there were so many misguided attempts at turning video game consoles into makeshift computers might even be more simple than that: This may have just been a phase. The reason I make this case is because of the trends in video game failures just a decade later. The 3DO and Philips CD-i, with their roots in multimedia, had more in common with PCs than game consoles. And Commodore (with the CD32) and Apple (with the Pippin) each tried to market their computing platforms in video game form. And for reasons not too dissimilar to the failures of Mattel and Coleco, they didn’t work. The truth was that we weren’t trying to decide between video games or computers. Eventually, we would decide that we wanted both.